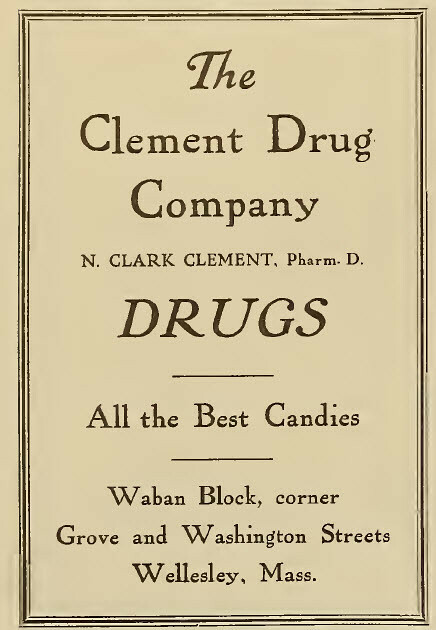 Image of the Week #4: Drugs--All the Best Candies! Ok, so I just found this advertisement to be hilarious. It looks like a standard advertisement for your typical pharmacy, but I have to wonder if the placement was intention. You have "Drugs" follwed by "All the Best Candies" and it makes me think that mayhaps, that was intention. Even though the pharmacy might be where they regularly get actual candy, it seems that the add is suggest drugs as candy. If that is true or accurate, then it's curious that this ad was ran in a newspaper for a women's college.